The University of Maryland, College Park is the state's flagship university and one of the nation's preeminent public research universities. A global leader in research, entrepreneurship and innovation, the university is home to more than 41,000 students, 14,000 faculty and staff, and 352,000 alumni all dedicated to the pursuit of Fearless Ideas. Located just outside Washington, D.C., we discover and share new knowledge every day through our renowned research enterprise and programs in academics, the arts and athletics. 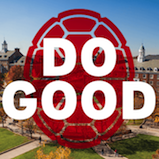 And we are committed to social entrepreneurship as the nation’s first “Do Good” campus. Spanning 12 schools and colleges, Maryland offers more than 200 degree-granting programs, many of them ranked among the best in the country. Our faculty includes three Nobel laureates, two Pulitzer Prize winners, 60 members of the national academies and scores of Fulbright scholars. And our students, who include the highest achievers in the state and nation, enjoy experiences unique to our location just outside the nation’s capital, including internships, research, and leadership and service opportunities. The University of Maryland is one of the world’s premier research institutions. 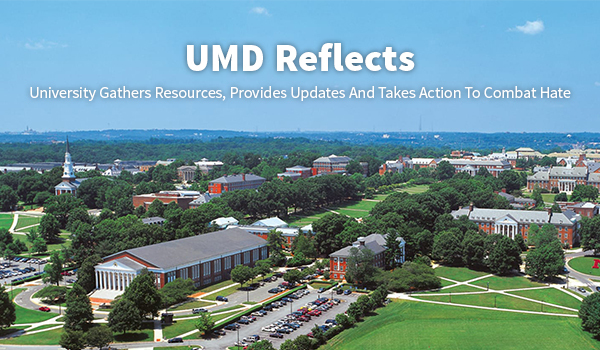 With our strategic location and scores of partnerships with government and businesses, UMD conducts groundbreaking research on some of the biggest challenges facing our global community, including cybersecurity and terrorism, bioengineering, public health equity, food safety and climate change. We strive to discover new knowledge and put it to work through innovation and entrepreneurship, advancing economic development and transforming lives. 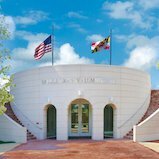 At the University of Maryland, the arts, the humanities and the sciences intersect to address important societal issues and shed new light on the human experience. Our vibrant campus arts community collaborates with local and national cultural organizations such as the Phillips Collection, Kennedy Center and Folger Shakespeare Library. Student and faculty artists, designers, historians, writers and performers are exploring new media, presenting new perspectives, investigating new techniques and engaging new audiences. Home of the Terrapins, the University of Maryland has one of the nation’s most recognizable and successful athletics programs. More than 550 student-athletes compete each year in 19 intercollegiate sports—11 for women and eight for men. Since 2005 alone, Maryland has won 16 national championships, including NCAA titles in women’s basketball, men’s soccer and women’s lacrosse. Since joining the Big Ten Conference in 2014, UMD has won a combined 17 regular season and tournament championships. Fear the Turtle! At the University of Maryland, our commitment to the safety and well-being of our students is paramount and resolute. For our student-athletes, that means both on and off the field. The University of Maryland is committed to accountability, transparency, and fairness and is working to ensure our program upholds the values of our University. Learn more about our commitment. The Terp experience extends beyond classrooms, labs and studios. It encompasses residence halls and dining halls, clubs and sports, fraternities and sororities, campus events and performances, and countless off-campus destinations. Maryland touts 800-plus student organizations, dozens of prestigious living and learning communities, and countless other ways to get involved. Students here can create a unique identity and grow as individuals, even as they’re part of a close-knit and diverse community. Terps are bold, smart, curious and proud. We do good, in our communities and out in the world. We are fearless. And we are always looking to expand our ranks. Interested in becoming a University of Maryland student? This is where to start. Inspiration. Boldness. Curiosity. Passion. Your support is critical to helping Terps make world-changing discoveries, launch successful startups and do good around the globe. As a Terp, you’re always ready to take the next bold step. 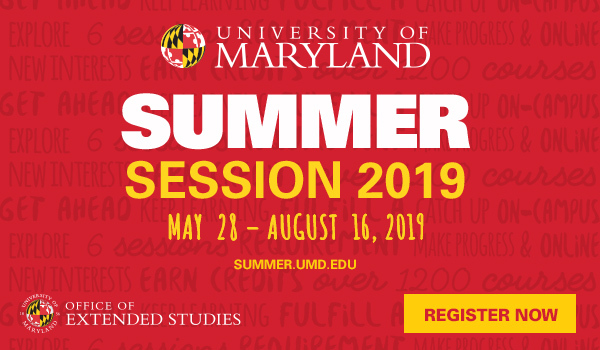 The University of Maryland Alumni Association can help, from offering professional networking to reconnecting you with fellow Terps.